Police and security forces blocked an event commemorating the 50th anniversary of the anti-censorship Iranian Writers Association (IWA) by raiding the home in Tehran where it was supposed to be held on May 25, 2018. “We were going to have a gathering for the 50th anniversary of the IWA but since the authorities do not permit us to hold events at public halls, we instead made preparations to do it at a home,” Reza Khandan Mahabadi, an author and member of the IWA’s board of directors, told Center for Human Rights in Iran (CHRI) on May 25. “But a few hours before the start of the program, the police and intelligence agents blocked the street with their cars, entered the house and carried out a search and made a mess and took away some of our things,” he said. The IWA, an independent group of authors, poets, editors and translators based in Iran was formed in May 1968 to fight against state censorship. Governments before and after Iran’s 1979 revolution have persecuted its members. In 1998 writer Majid Sharif, opposition politician Dariush Forouhar, his wife Parvaneh Eskandari and writers Mohammad Mokhtari and Mohammad Jafar Pouyandeh—all IWA members—were murdered in cold blood. An investigation by President Mohammad Khatami’s reformist government concluded that the murders had been carried out by “rogue elements in the Intelligence Ministry,” forcing the minister in charge, Ghorbanali Dorri Najafabadi, to resign. 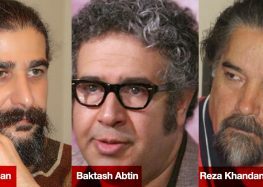 Top ministry officials Saeed Eslami (Emami), Mostafa Kazemi and Mehrdad Alikhani were also arrested, and information about the murders was leaked to the media. During a judicial inquiry, the prosecution revealed that the chain murders were part of a systematic policy to physically eliminate political and cultural dissidents inside and outside of Iran—a policy that had begun a decade earlier with the assassination of moderate opposition politician Kazemi Sami on November 23, 1988. Iran's Intelligence Ministry Has Been Pressuring Families Of "Chain Murder"